The Indie Photobook Library’s 3rd feature-length exhibition curated by Darius Himes (Assistant Director, Fraenkel Gallery and Co-Founder, Radius Books) and Larissa Leclair (Founder, Indie Photobook Library) will travel from Gallery Carte Blanche in San Francisco to FotoWeekDC. The exhibition titled “A Survey of Documentary Styles in early 21st century Photobooks” draws from the Indie Photobook Library collection and features 70 photobooks along with a selection of photographs from the books (Eliot Dudik, Matt Eich, McNair Evans, Erica McDonald, Michael Jang, and Lacey Terrell) selected by Gwen Lafage (Founder, Gallery Carte Blanche). The exhibition “A Survey of Documentary Styles” looks at the “documentary tradition” through the lens of a 21st century, global photographic community in which the lines between journalism, art and the long-term documentary project have blurred, morphed and continue to feed off of each other. The books selected for this exhibition present a range of subject matter, each coupled with a particular visual language drawn from a pool of diversity. There are books that speak a more traditional documentary language, while there are those that explicitly critique that very same tradition; there are diaristic books and titles that overlay a typological structure; other books rely primarily on found and vernacular imagery; and there are many books that borrow heavily from an art-photography storehouse. The goal of this exhibition is to survey the field before us and to foreground questions of authorship, voice, style and content. The EXHIBITION CATALOG, designed by Patrick Aguilar of Owl & Tiger Books, can be purchased through the Blurb bookstore. Featured as one of the TOP TEN Things to do at FotoDC in Feature Shoot! 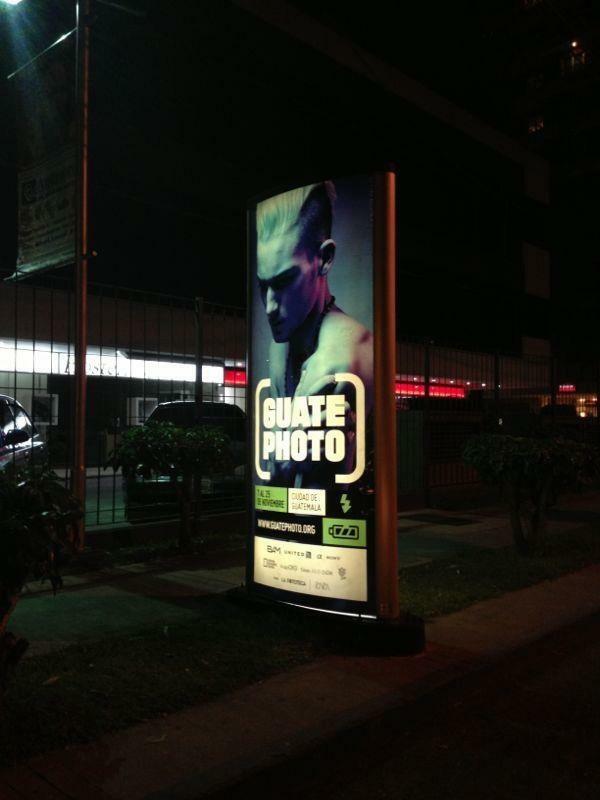 Join the Indie Photobook Library and Little Brown Mushroom in Guatemala City for GuatePhoto’s “Libros de fotografía” – NOVEMBER 7 – 25, 2012. “Captured by a Portrait” is a selection of books that illustrate the different ways in which portraiture can be variably defined. The photographers and makers of these books grapple with and expand the definition of the genre through their photographs of strangers, family members, friends, or even new locations. Judith Erwes stages her sitters in the style of wedding photography of the 1970s and 1980s, while Tammy Mercure presents Elvis Presley through images of impersonators and commemorative portraits of the deceased singer. Eric Bessel’s work shows the interaction between the photographer and the photographed in a selection of compelling portraits. Igal Permuth, Jaime Permuth, Mario Permuth turn to the complex history of Guatemala as they portray their family. As does Tony Luong, in Two Roofs, who photographs his family and their homes and spaces, as he tries to come to an understanding of his family background. Nguan turns to the bustling Tokyo neighborhood of Shibuya, seeking to define it through its people and landscape. Alejandro Cartagena turns to the outskirts of Monterrey, Mexico, capturing the identical homes stacked one next to the other, to the incursion of high-end brands. Being at the edge of an urban center allows Miquel Llonch to capture the seemingly remote woods, through the glow of the city. Morten Andersen takes viewers deep into the forest, devoid of homes and people, and composes a multi-faceted portrait of place. Whether through following the traditional trappings of portraiture, or subverting them, these books question the definition of a portrait, its role in society, and its place in photographic history. Larissa Leclair is a writer, curator and collector and Founder of the Indie Photobook Library. Leslie J. Ureña holds an MA and PhD in Art History from Northwestern University, and is an art curator and critic based in Washington, DC. The Indie Photobook Library is honored to be part of the Peabody Essex Museum’s “year of photography” initiative for 2012. As one of the world’s oldest photography collections totaling nearly one million individual objects, the PEM is celebrating photography all year with exhibitions by Ansel Adams, Jerry Uelsmann, and Barbara Bosworth, and public programming dedicated to the photographic image. June kicks off a monthly series of evening programs for adults, each featuring late-night gallery openings, music and food, artist demonstrations, film and talks, and on Thursday, June 21, 2012, a pop-up exhibition from the Indie Photobook Library. 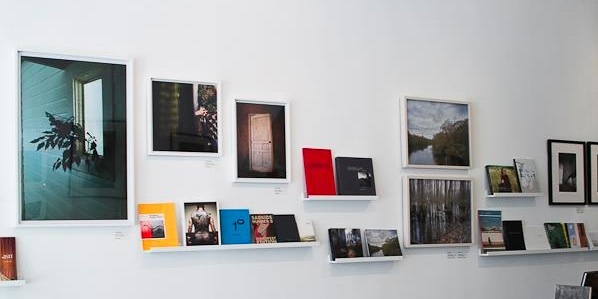 Selected from the Indie Photobook Library’s permanent collection, the books presented in this pop-up exhibition feature photographic work with underlying elements of water and celebrate the strength in self-publishing and small collaborative presses. 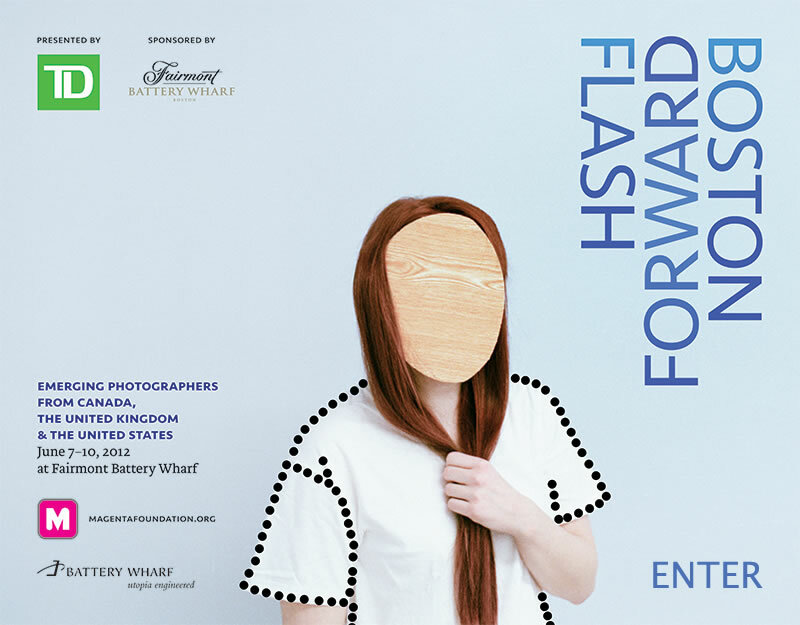 The Flash Forward Festival was part of a milestone in iPL history as they hosted the entire library for our first pop-up exhibition ever at their Toronto festival in October of 2010. We look forward to being part of it again! 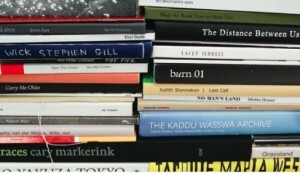 The following titles from the Indie Photobook Library archive will be on display. 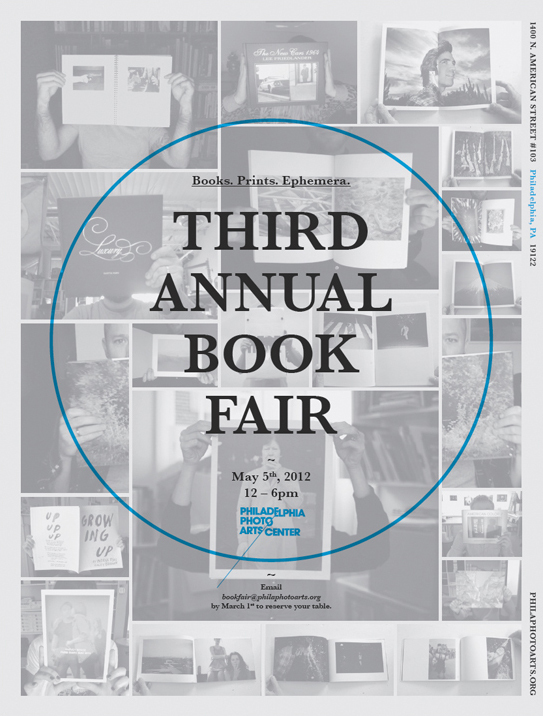 The Indie Photobook Library has been invited to participate again in the PPAC Annual Book Fair! 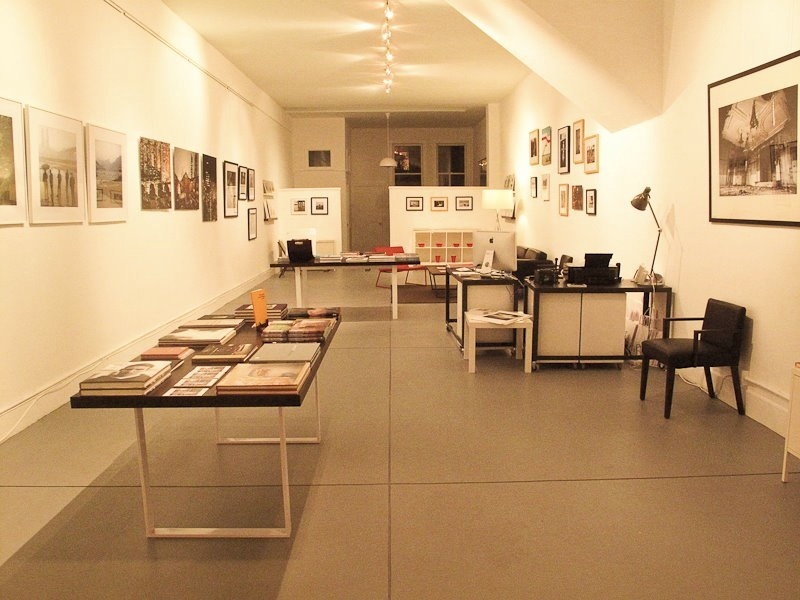 Come browse a selection of photobooks from the Indie Photobook Library archive and donate your book! A number of small presses, publishers, and artists will also be there selling books, prints, and ephemera. And Ben Lowy, Ed Panar, and Ron Jude will be signing books! More info. The Indie Photobook Library is pleased to announce it’s second feature-length exhibition! Curated by Muriel Hasbun, chair of photography, and Susan Sterner, director of photojournalism programs at the Corcoran College of Art + Design with assistance by Pablo Ortiz Monasterio. 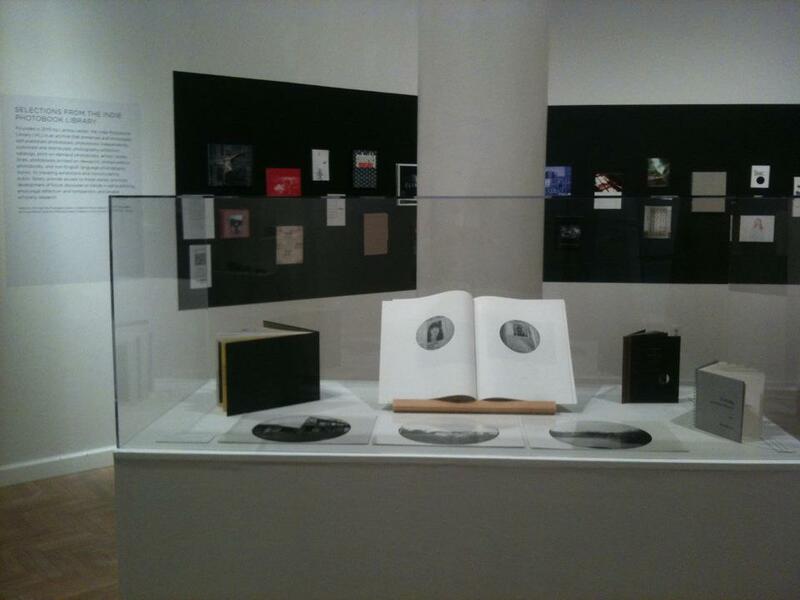 A reception for Selections from the Indie Photobook Library will be held at the Corcoran on Thursday, November 10, 2011 during FotoWeek DC from 6 to 8 p.m. Admission is FREE to the Corcoran for the week of FotoWeek DC. Thank you to Joe Hale and all those involved in the exhibition design and installation. The Indie Photobook Library is pleased to be part of SPE’s regional northeast conference in conjunction with LightWork and Syracuse University. The iPL has partnered with Carlos Loret de Mola to present “bookMarks” – a showcase of self-published photo-based printed matter. Loret de Mola and Willson Cummer curated a selection of photobooks from an open call to members of the Society for Photographic Education and affiliates and alumni of the New York Foundation for the Arts MARK program. And Larissa Leclair curated a selection of photobooks drawn from the iPL archive that feature printed matter made by regional photographers. Location: Light Work’s Robert B. Menschel Photography Gallery, located in the Schine Student Center of Syracuse University. The Schine Student Center is the location of the SPE Conference’s portfolio reviews and we will be sharing the Menschel Gallery with the exhibition “En Foco / In Focus: Selections From The Permanent Collection”. Saturday Nov 5, 10am – 4pm. The official opening reception at the gallery will be on Saturday Nov 5 during the SPE luncheon at the Schine Student Center from 1:30PM to 3:30PM. The Indie Photobook Library will be in China for the Lishui Photography Festival, NOVEMBER 6-9, 2011. The photobooks selected explore perspectives on “American life”, the theme for the Lishui Photography Festival. From both American and international photographers we are shown the diversity of what that can be – American consumerism, a personal commute, remnants of a man-made vacation destination, a poetic walk through New York, the KKK, ice fishing in Wisconsin, gritty city streets, communities in California, Ohio, Las Vegas and the South.